Here’s a wonderfully cool idea. Boston-based acid-blues band Bees Deluxe is taking their deep bluesy groove on the road to get out the vote and support Democratic (blue) candidates in their attempt to flip political districts from red to blue. They’re calling this noble cause Flippin’ for the Blues (get it?). These guys are extremely soulful and accomplished musicians. Check them out. First up is an event for NH-1 candidate for congress, Maura Sullivan. She’s a former Assistant Secretary of Veterans Affairs and senior Pentagon official in the Obama Administration, Marine Corps Veteran, and candidate for Congress in New Hampshire’s First District. This event takes place in Portsmouth, New Hampshire on Friday, August 31 at Cisco Brewery. From there, it’s Syracuse NY, Allentown PA, Harrisburg PA, Cleveland OH, Columbus OH and Albany NY for various local candidates. For more information and advance reservations, see the official website. Help support this great cause — Donate To Their Kickstarter Campaign! At the Portsmouth event, Bees Deluxe will be supported by the Jugghead Band, and after a few words from the candidate, the band will perform. Their set will include original songs from their new CD, Voice of Dog, along with their own interpretations of the music of B.B. King, Amy Winehouse, Billie Holiday, the Meters and other world class musicians. The band features Conrad Warre (lead guitar, vocals), Carol Band (keyboard), Allyn Dorr (bass) and Paul Giovine (drums). 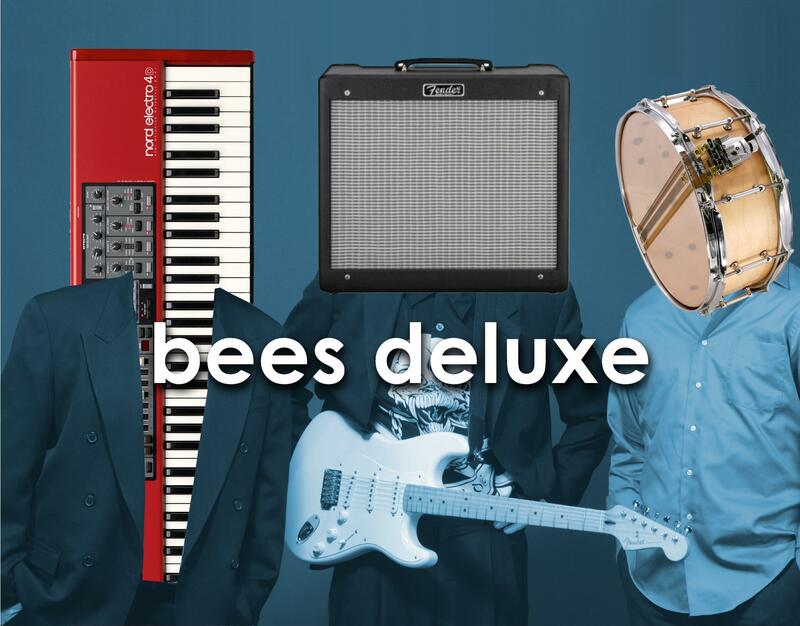 If you like what you hear of Bees Deluxe, you can stream the new album on Spotify or purchase it from Amazon.